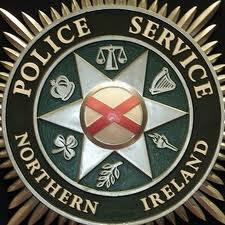 THE PSNI’S Crime Prevention Branch has issued advice to the public on how to deal with bogus callers. “Most people who call at your home will be genuine. But sometimes someone may turn up unannounced, with the intention of tricking their way into your home. “Bogus callers may be smartly dressed and claim to be from the council, police or utility companies. “They can also turn up as builders or gardeners and try to trick you into paying for unnecessary work. “You should never agree to have work done by someone just passing by. If you think work needs to be done, get at least two quotes from reputable companies. If you think a bogus caller has called on you, report it to police immediately. If you are in any doubt simply check your caller out with Quick Check. – Before you answer the door, make sure your back door is locked. – If you have a door chain remember to use it before you open the door. – Ask the caller for their identification and check it carefully. – Ask them to wait outside and lock the door – genuine callers will not mind. – Ring Freephone 0800 013 22 90, your call will be answered personally and promptly by a trained operator. They will check with the company on your behalf, that the person at your door is genuine. If they are not or they think there is something suspicious, they will contact the police immediately. – Do not let anyone into your home until you are satisfied as to who they are.